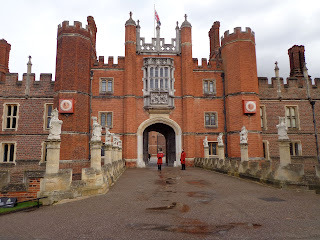 Hampton Court is located in Surrey just outside of London (about a 2 hour drive from Cambridge). Its probably best to drive there but it can be expensive for parking, so look here to find a cheap parking place. It is also a Historic Royal Palace property so I suggest to become a member because a year's membership is £43 and if you go to all five properties you will save £20 overall. This is a property that you can spend at least 5 hours at so plan for it. It is bigger than any other property I have ever been to, so allow yourself enough time to take it all in. 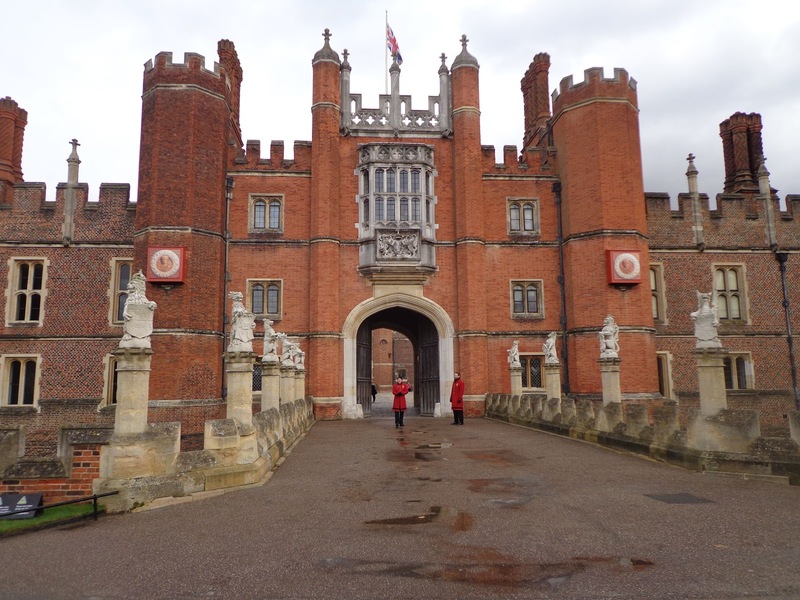 Hampton Court was originally built for Cardinal Wolsey (Henry VIII's adviser during his divorce to his first wife, Catherine of Aragon), but he offered this to the king when he fell out of favour with him. Catherine Howard (5th wife) married Henry VIII and was later arrested here before being sent to the Tower of London for beheading. Hampton Court was extended when William III and Mary took they over the monarchy and luckily they ran out of money when they extended it because their intentions were to tear down the existing palace. I really liked this property and wished that we arrived a lot earlier because towards the end it became a bit rushed. I love the mix of Tudor and Baroque styles. My favourite is the chimneys, they are all different. They have audio tour guides that take you around the various places. My suggestion of order is Young Henry VIII's story, Henry VIII's kitchen, Henry VIII's apartments, William III apartments and finally the Georgian Private Apartments. This is a property that is a must-see. Make sure you go here during your time here. It gives a great overview of history and is well worth a visit.